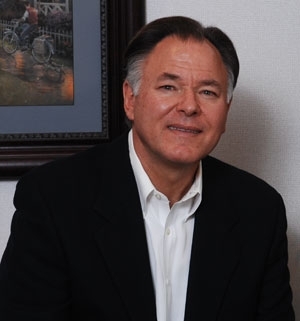 From Corpus Christi, Texas, Dr. Bartosh graduated from the University of Texas at Austin in 1973 with a Bachelor of Arts degree in Biology. Upon graduation from Baylor College of Dentistry in 1977, he returned to Corpus Christi to practice with his father, Dr. Bill Bartosh Sr for 3 years. Over the course of the three years he made many trips to the San Angelo area to visit family and friends. It was during these trips that he fell in love with the people, the climate and the environment. 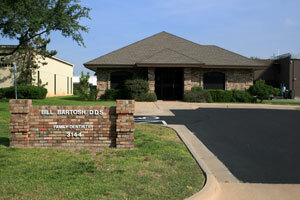 In 1980, he moved his family to San Angelo and in March of 1981 he opened his practice. Dr. Bartosh's love of the art and science of Dentistry has made him aware of the need to keep up with ever changing technical advances while maintaining a general dentistry practice. He has chosen to seek additional education in the areas of Cosmetic & Implant dentistry and TMJ Rehabilitation. He has earned numerous hours of continuing education to bring the highest quality of care to his patients. In his 32 years of practice, he continues his education through professional associations and courses in advanced dentistry. Dr. Bartosh has been married to the love of his life, Anna, for 32 years and have 2 children, Nick and Natalie, both married in the spring of 2008. His hobbies include gardening, reading and bird hunting.